It’s a miracle this little girl even survived. Sadly, it seems no matter where they are, kids can also face the threat of death, whether celebrating a birthday at their own home or doing homework while reclining in their own beds. In this latest installment, a child can’t even play in her own yard without facing down the Grim Reaper. LaDerihanna Holmes, 9, of Lithonia, Ga., was playing in her front yard with another child Friday when seemingly out of nowhere a car came barreling across the lawn and hit LaDerihanna head-on. The other child was able to escape major injury. 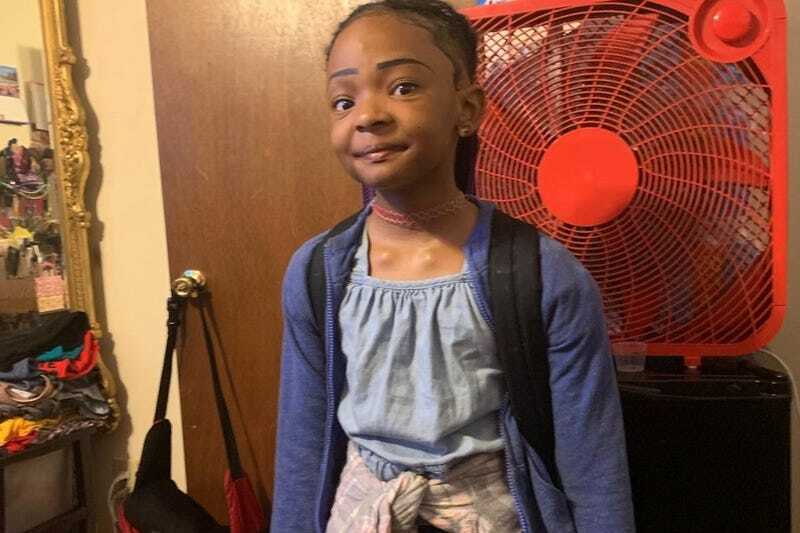 But LaDerihanna’s family say they released the footage in hopes of catching the cold-blooded, heartless, cowardly hit-and-run driver who they say ran away, along with a passenger in the car, after mowing down the 9-year-old. LaDerihanna suffered a skull fracture, a broken pelvis and other injuries when the Ford Fusion sedan drove across her lawn and right into her, plowing her into the wall of her home, the Journal-Constitution reports. According to the Associated Press, LaDerihanna appeared lifeless after the crash, and as her family frantically went to her side, a man who came to help and the girl’s 12-year-old brother started CPR. LaDerihanna’s father, Derryl Holmes, picked her up and drove her to the hospital, “keeping his hand on her heart to make sure she was breathing,” Burton told the AP. The family’s attorney said LaDerihanna is so badly injured she’ll have to learn to walk again. A GoFundMe has been set up to help the family cover expenses. DeKalb County police said Monday they had “good leads” on finding those responsible, but news of an arrest has yet to be made.